After you’ve spent your precious time creating a lovely arrangement of flowers, the last thing you want is for them to wilt and die before they can get truly admired. If you want to get the most out of your arrangement, you can follow these simple tips to ensure you’re flowers live as long as possible. 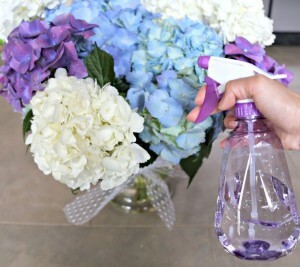 Always clean your vase or container thoroughly with soap and water. Using a dirty container is a sure way to have your flowers wilt and die faster. Dirty water contains harmful bacteria that can build up in the water and damage your flowers. 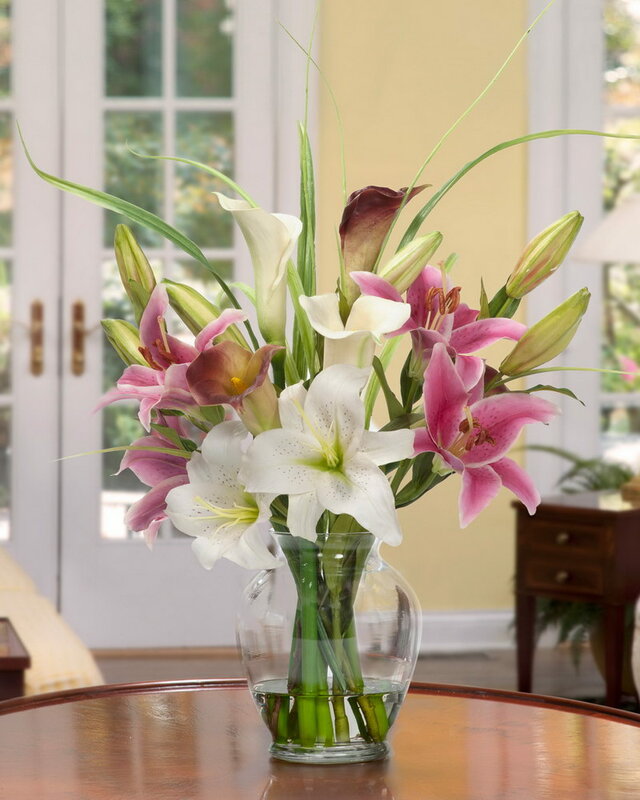 When you’re putting your arrangement into its container, make sure none of the leaves are submerged in the water. Leaves that are submerged will rot and create more bacteria, that will poison the rest of the flowers. Old dirty water can also smell pretty bad and the last thing you want is for that odor to take away from the smell of your pungent flowers. To get the most out of your arrangement, it’s crucial to change the water every 2 or 3 days depending on the size of the arrangement, regardless of how much water is left in the actual container. No matter where you buy your flowers from, it’s a good habit to trim off half an inch of the stem at a 45 degree angle, before putting them in a container. The reason is because, the stems dry out and vital cells that absorb the water and nutrients die. 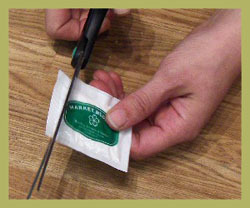 Cutting off the dry ends will ensure that fresh cells are able to absorb the maximum amount of what the flower needs. 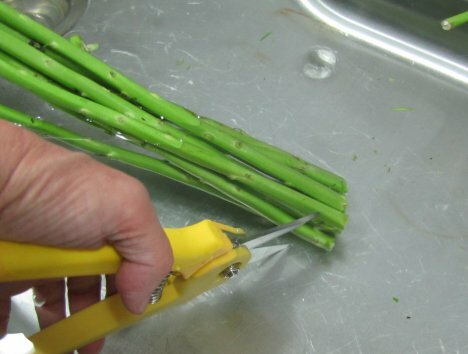 If your stems are long enough for multiple cuts, it’s best to trim them every time you change the water. If your stems aren’t long enough, you could get away with trimming them, every other time you change water, it’s a better practice than not trimming them at all. Whenever you cut your stems, make sure that you are using sharp scissors to ensure a clean cut. squishing or crushing the stem will do more damage than good for your flowers. 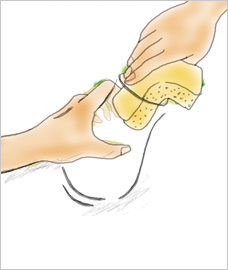 Many people find that scissors often squish the stems and rely on using a very sharp knife instead. Always be careful when using sharp knives. Most people like to keep their arrangements in places that are highly visible. 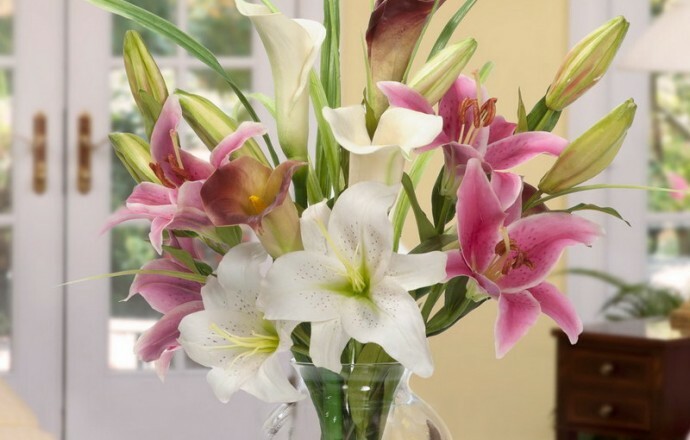 You want to see and smell your arrangement as easily as possible. There’s also a large number of people who believe sunlight is always beneficial for flowers. The truth is, planted flowers benefit from sunlight, while cut flowers do not. Cut flowers are cut because they are at the high of their life cycle. By placing your arrangement in direct sunlight or near heat sources, it will make the flowers continue their life cycle, which is essentially wilting and then seed spreading. By keeping your arrangement is a cool dark area, it keeps the flowers at the height of their life cycle longer. Fruits and vegetables going through the ripening process give off a toxic gas (to plants). Placing your arrangement by fruits and vegetables in the process will damage your flowers and make them die faster. Adding food packets to the water will give your flowers extra nutrients. Using flower food will extended the life of your flowers and mitigate the damage if you forget to change the water. Flower food typically contains biocides or anti-bacteria properties that can help fend off the bad bacteria trying to wilt your flowers. Since the flowers are only relying on their stems for water, they can use a little extra help. A daily misting of water can benefit the longevity of your flowers. There are many more available methods that you can find on-line, it’s up to you to decide which you think works best for you. If you follow all of these tips, you might just be surprised how much longer your flowers live. It is a little bit of extra work, but putting in the extra effort will give you the full satisfaction of knowing, you got to enjoy the maximum life your flowers could give.